Children will write their names on the back of each page. Once their pages are complete, encourage them to color/decorate their covers and write their names at the bottom. The pages can then be assembled in proper order and stapled together. 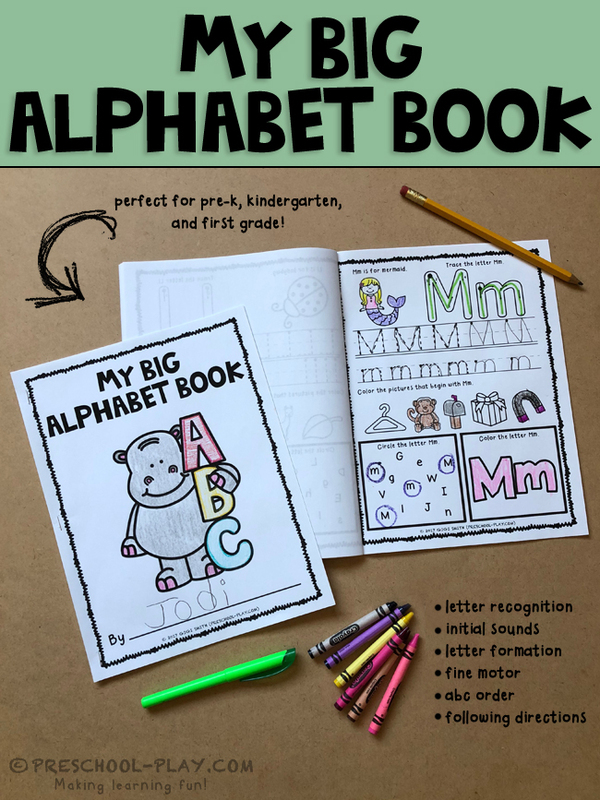 Depending on the child’s ability, he/she may want to place their own pages in alphabetic order. If you are not wanting your students to produce a book, these worksheets can be used individually; e.g. letter of the week. GET THE MY BIG ALPHABET BOOK HERE.